I read this article and found it very interesting, thought it might be something for you. The article is called Why Patients Should Care How their Doctor Feels and is located at https://www.patientkeeper.com/blog/2019/04/04/why-patients-should-care-how-their-doctor-feels/. When the physician asks that question, it isn’t just a social courtesy; it’s the beginning of a conversation intended to guide a “patient encounter” that ultimately yields a clinically beneficial outcome. It may be time for patients to start asking their doctors the same question – also not merely as a social courtesy – out of concern for the physician’s well-being, and for the quality of care they are delivering. There is a range of factors – organizational, regulatory, and technological – that are conspiring to sap many physicians of their passion for the profession, and are driving young interns and seasoned veterans alike to leave medicine altogether. More than 70 percent would not recommend it as a career, according to The Doctor’s Company’s 2018 Future of Healthcare Survey. Even more disturbing, physician suicides are the highest of any profession, and double the rate of the general population. Forecasts of an impending physician shortage are widespread; left unchecked, this trend may portend a healthcare delivery crisis over the next 20 years, with potentially significant impacts on patient care. There is more to learn – The sheer volume of medical information is daunting, and is growing exponentially. The job is more stressful – As baby boomers enter the window for peak healthcare utilization, the acuity (how sick a patient is) and volume of patients (particularly in the hospital setting) is rising. Additionally, there is increasing financial pressure to see more patients and lower costs. There is more administrative overhead – The documentation requirements imposed on physicians, driven both by clinical and financial imperatives, continue to increase, lengthening the typical work day by several hours, while decreasing time with patients. IT is more prevalent and confounding – The difficulty for physicians of using most electronic health records (EHR) systems is well documented, with study after study pointing to the technology as a major driver of the burnout epidemic. Many physicians feel that they can no longer practice in the manner they were trained. They have lost the authority to determine how many patients they will see, and what the treatment plans will be. The vast majority of physicians don’t see themselves practicing in this way. They need a degree of autonomy and to have the ability to effectively carry out what they believe to be the best evidence-based treatment plan for their patients. When I began practicing as a hospitalist in the 1990s, hospitalists in my area saw 12 patients per day. With that caseload, you had plenty of time to interact with patients and colleagues. While it would not be feasible to return to that volume today, the point is that the hospital afforded a much more academically rewarding setting. You had more opportunity to discuss interesting cases with colleagues and learn from the interactions. There was time to revisit higher acuity patients and diligently review patient records. Perhaps most importantly, you could sit at a patient’s bedside, hold a hand, adequately educate on a care plan and provide the unrushed, human interaction that patients deserve and which equate to improved outcomes. The pace today does not afford this opportunity, much to the dissatisfaction of physicians. Over the past 20 years, the average length of stay (LOS) in hospitals has decreased. Physicians dedicate time and attention to patients based on their acuity. As a patient stay progresses, acuity typically decreases. With shorter LOS, the percentage of high acuity patients on a physician’s panel has significantly increased, so virtually all patients now require higher levels of care. And while each patient needs more care and attention, the EHR demands to be fed more and more information, which distracts physicians from providing the care required to that sicker patient population. As this perfect storm in healthcare builds, the U.S. faces an impending shortage of about 120,000 physicians by the year 2030, according to the Association of American Medical Colleges. The ramifications of this crisis are equally concerning for those still in the field. When you’re taking physicians out of rotation, bandwidth issues quickly begin to surface, where understaffed programs make everyone’s overall workload that much tougher. 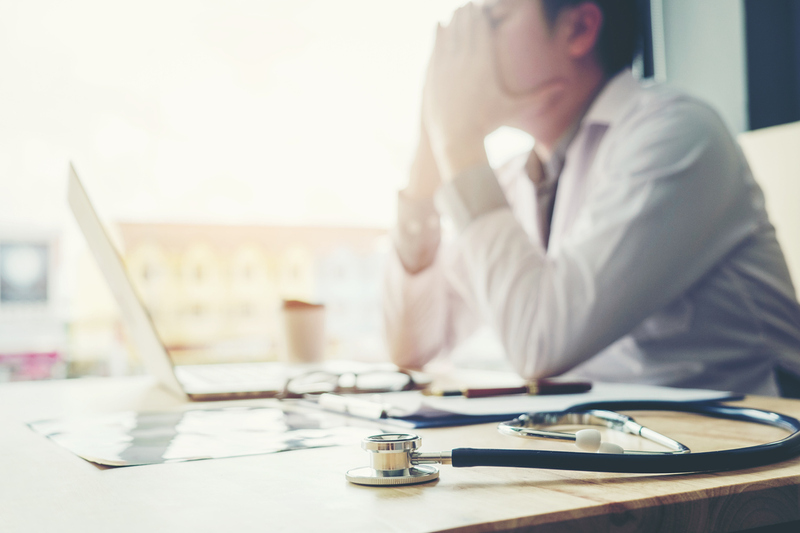 It’s one of the most dangerous types of domino effects and, along with EHR dissatisfaction, is another driver of today’s physician burnout epidemic. Alleviating physicians’ unnecessary administrative burden by implementing policies and technology tools that that are intuitive, and that give providers more time at the bedside to practice their craft. How are physicians feeling? Generally speaking, not great. And while the underlying systemic problems are complex, they can and must be addressed. 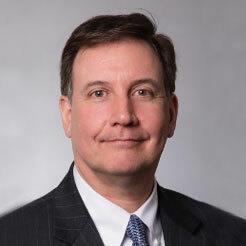 Healthcare organizations need to act aggressively to help physicians practice medicine better, and also to reconnect physicians with their love of medicine – not as an altruistic exercise, but for the sake of the quality of patient care, their business performance, and the overall vitality of the American healthcare system.